The district administration has imposed prohibitory orders across Bishnupur district of Manipur under section 144 of CrPC from Friday, an official source said on Saturday. 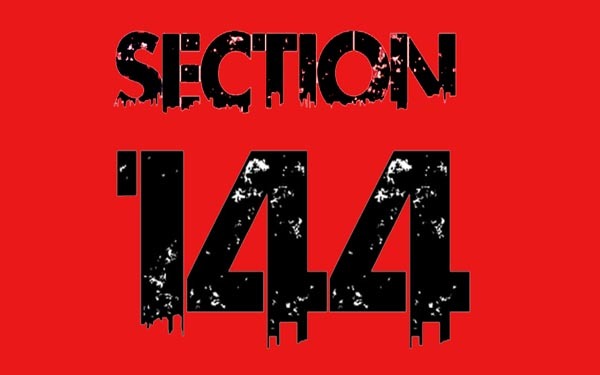 The district administration has promulgated prohibitory order under section 144 CrPC in the wake of mass agitations against the contentious Citizenship (Amendment) Bill, 2016. The prohibitory order of the Bishnupur district magistrate issued on Friday, prohibited all rallies, meetings, sit-in-protests, dharnas, processions, etc. with effect from 5 pm of Friday. It further banned on gathering or assembling of more than 4/5 persons and carrying of deadly weapons such as daos, firearms, sticks, stones, catapults, dagger, etc. Any person violating this order is liable to be punished under section 188 IPC, the order issued by the Bishnupur district magistrate that will be effective until further order stated, according to reports. The district magistrate promulgated the prohibitory order based on a report furnished by the superintendent of police of the district. Similar prohibitory orders were already promulgated in the twin capital districts – Imphal East and Imphal West. Meanwhile, the state police has appealed to all concerned to obtain prior permission while carrying out rallies, processions, dharna and sit-in-protests within the jurisdiction of the two districts – through the media.